The internet is made of a small bits of keywords. So the specific keywords you use can mean the difference of turning a blog from no cash to cash money. I just hit my 20 year anniversary as a professional DJ. I’ve done way too many events that I can count over the years. I did take a break from DJing for about two years to focus on other projects specifically in internet marketing. Therefore, I feel compelled to share this story that will assist you in any business your heart desires to market. So I bought my domain name djczer.com many years ago. I converted it to a wordpress blog about 2010 because of all the cool tools that WordPress allows you to use for marketing. Interesting enough, I hadn’t written many blog posts until end of the year of 2015 when I got contracted a few gigs for company Holiday parties. I have a form at DJCZer.com that allowed me to capture a few leads after posting one blog post regarding Holiday party events that I did. That blog post lead into a few leads which after following up with them became my most profitable leads to date. One gal, runs a winery in the area and has over 47 weddings on the books this year alone. It’s going to be my busiest year in weddings. FYI, events of any type during a down or up economy are going to happen because people get married and their children eventually do and so on. I will also hire a limo service on gold country and el dorado wine. The moral of the story is, it was done with free marketing. Free traffic and they all found me from a blog post that was written for the intent of attracting visitors from Google. Google had ignored me 2 year prior when I wasn’t DJing. It could be “thoughts become things” mixed with the passion I have for writing. Therefore, I’m going to encourage every single one of you that write often. Make your blog posts at least 500 words on a particular topic. This can work for ANY topic of any type. If you’re a business, a non-profit, etc, you can write about anything, but make sure to keep it geared towards the subject at hand that will bring the quality of people you deserve on your list. How do you capture a list? Well there’s a free plugin called Mailpoet that you can adapt to WordPress and that can email up to 2000 leads which is plenty to get started. I’m doing a 2 day webinar starting Thursday 3/3/2016 regarding the basics of domain names and WordPress to more advanced questions on graphics and other topics. Make sure to register early and show up at least 10 minutes early. 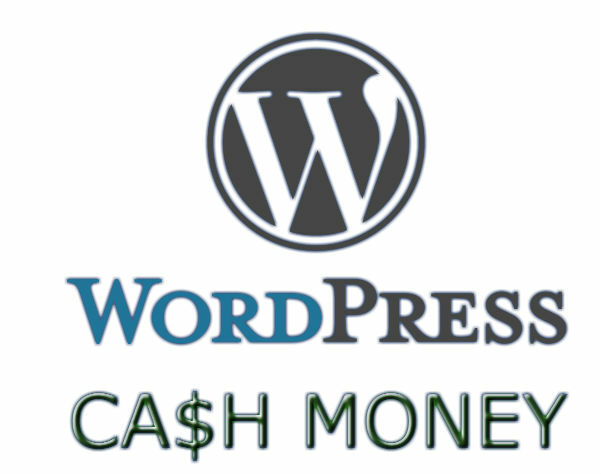 Posted in Technology and tagged Cash money, wordpress, Wordpress Training.